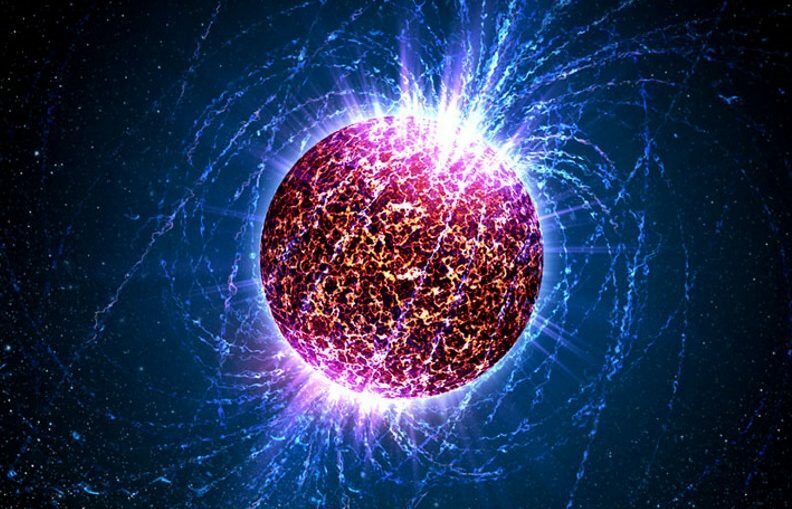 A really weird form of matter found in ultradense objects such as neutron stars is looking like a good candidate for the strongest material in the Universe. According to new calculations, it clocks in at a massive 10 billion times stronger than steel. Neutron stars are one of the end points of the life cycle of a high-mass star. Once the core of a star has burned to iron, it collapses, squeezing the protons and electrons into neutrons and neutrinos. The neutrinos escape, but the neutrons are densely packed into an object between just 10 and 20 kilometres (6-12 miles) in diameter. This incredibly high density does something strange to the nuclei of the atoms in the star. As you move closer and closer in towards the centre, the density increases, squishing and squeezing together the nuclei until they deform and fuse together. The resulting nuclear structures are thought to resemble pasta – hence the name – forming just inside the star’s crust. Some structures are flattened into sheets like lasagna, some are bucatini tubes, some are spaghetti-like strands and others are gnocchi-esque clumps. Their density is immense, over 100 trillion times that of water. As you can imagine, recreating that kind of density in a laboratory setting just isn’t going to happen – so sadly no one got to build a nuclear spaghetti-snapping machine. Luckily, scientists now have access to powerful computer simulations, so this is what they used instead. They created models of simulated nuclear pasta, and applied pressure to see how the material responded. They found that the force needed to break nuclear pasta was 10 billion times the force needed to break steel. Although the crust of a neutron star has previously been calculated to be extraordinarily strong as well, the nuclear pasta was even stronger. This result suggests that the ion crust of a neutron star would break significantly earlier than the pasta in the middle. This, in turn, could have an effect on the crust breaking in certain situations, the researchers said, such as resonant shattering flares during neutron star mergers or magnetar outbursts. What this means is that, because of these dense regions, the neutron star’s interior could be lumpy and uneven. And if this is the case, neutron stars might be constantly generating gravitational waves – ripples in the fabric of spacetime. They wouldn’t be very strong. Certainly not strong enough for detection by the current set-up at the Laser Interferometer Gravitational-Wave Observatory (LIGO), considering how difficult it is to detect a massive collision between two black holes. But maybe future upgrades to LIGO could improve its sensitivity. Or the Laser Interferometer Space Antenna (LISA) observatory, planned for a 2034 launch, might be able to detect these faint waves. The research doesn’t just shed some light on the nature of nuclear pasta – it’s laying the groundwork for future observations that may one day provide concrete proof of its existence. The paper has been accepted into Physical Review Letters, and can be read on preprint resource arXiv.